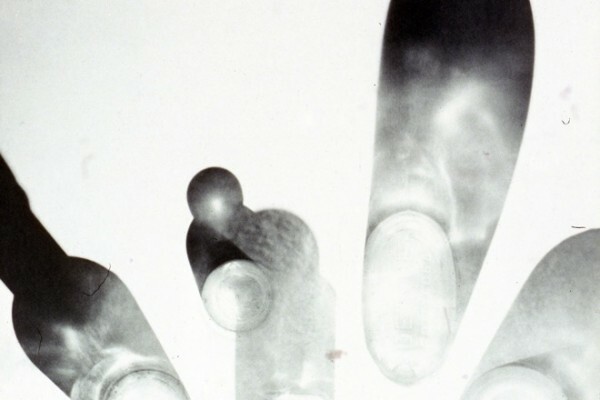 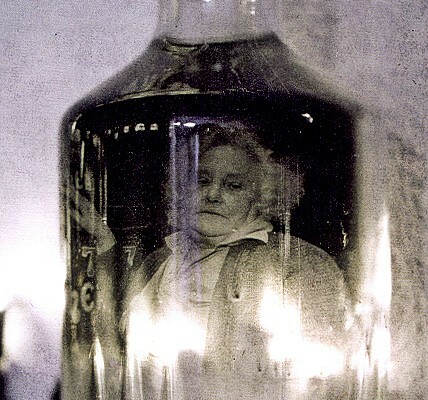 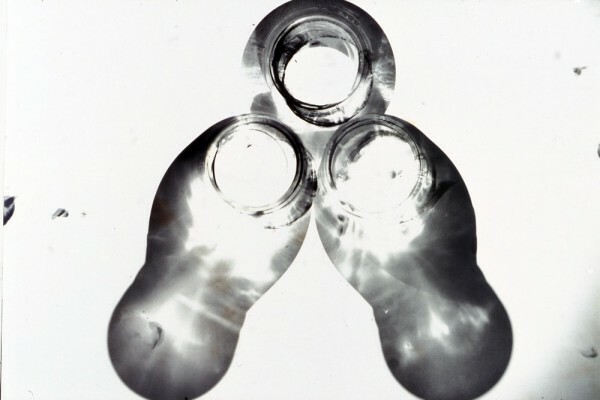 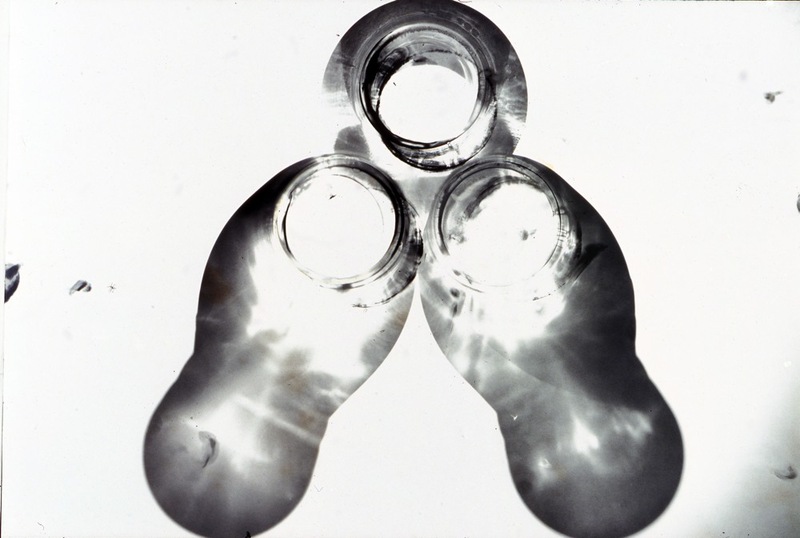 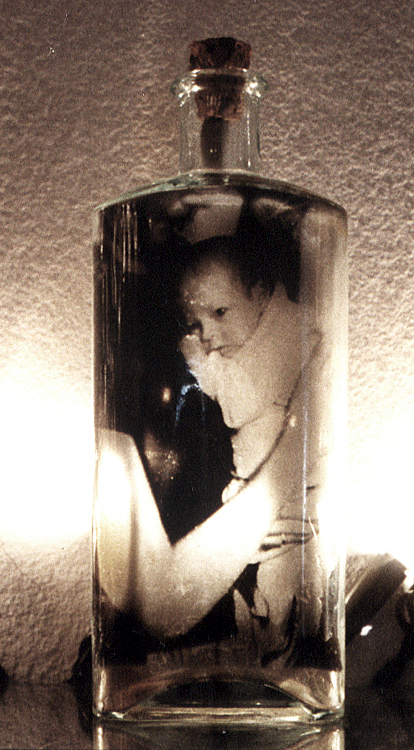 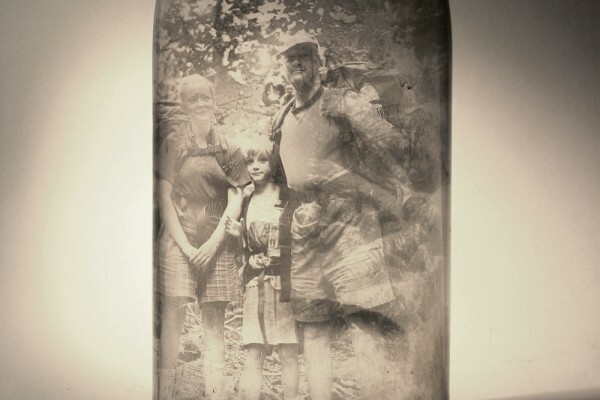 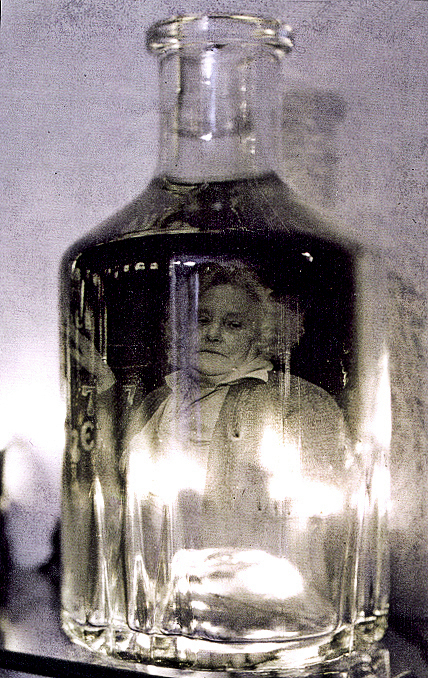 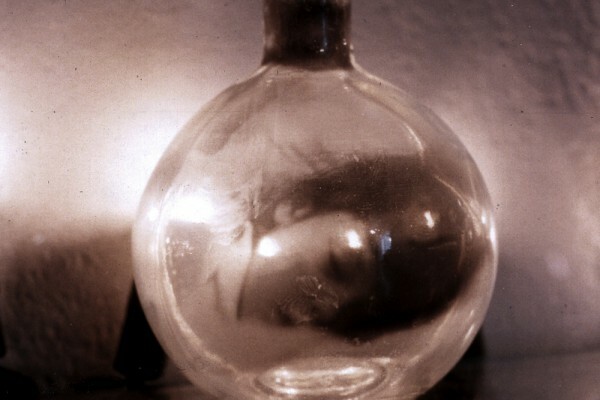 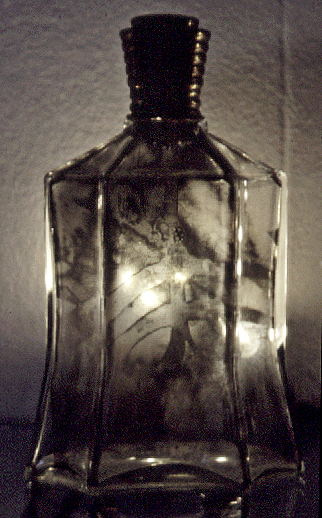 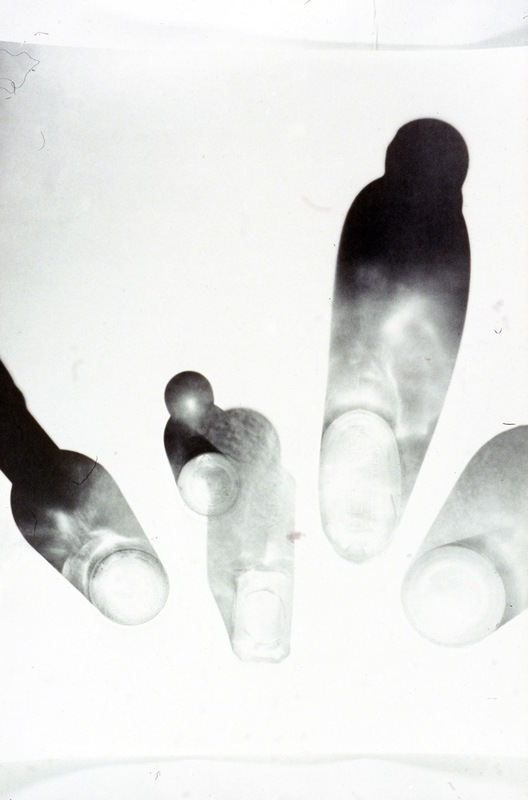 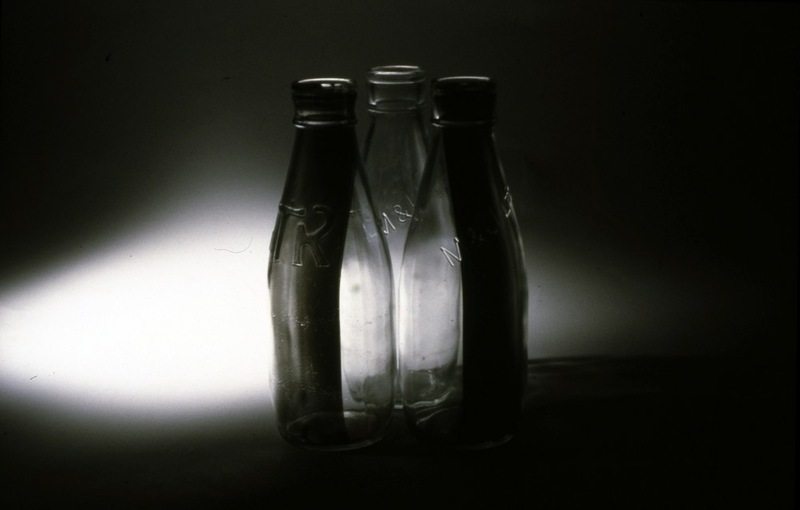 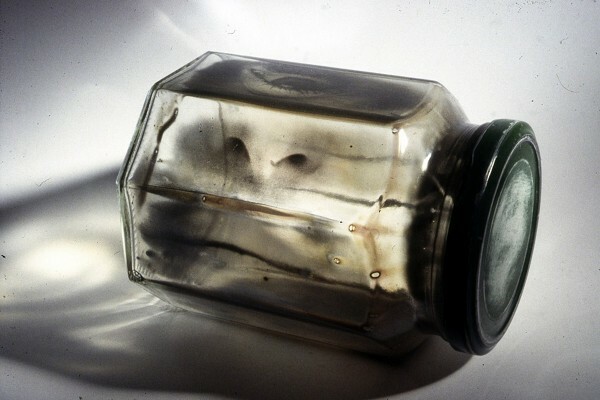 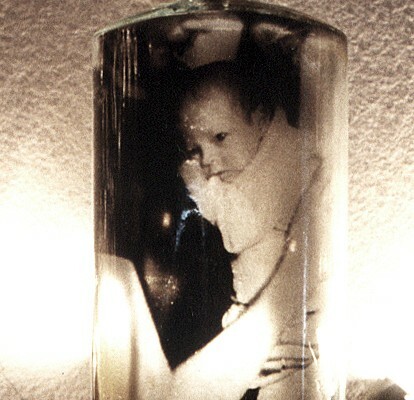 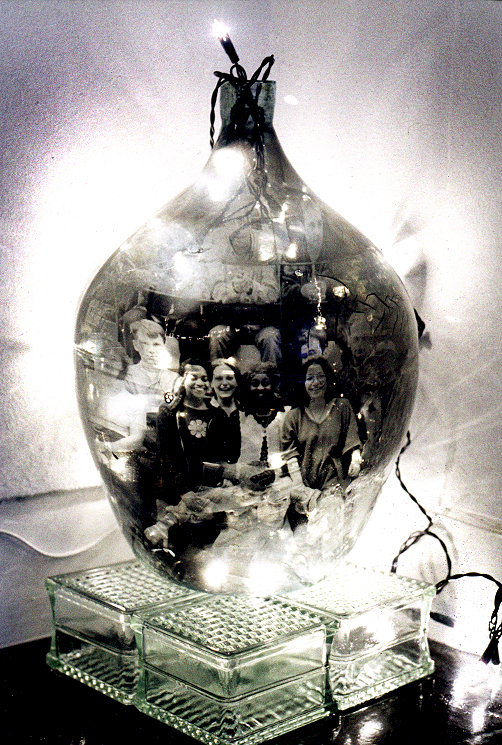 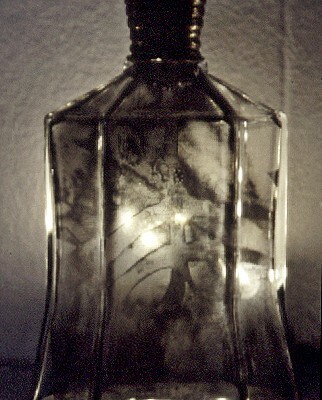 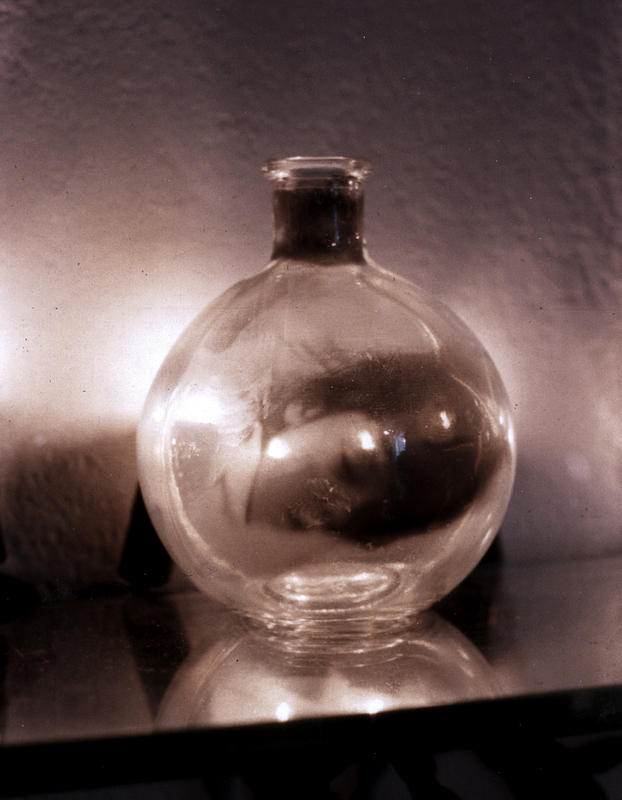 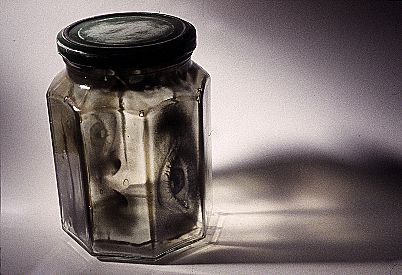 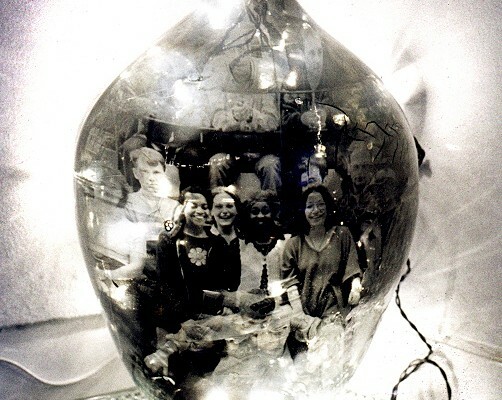 ‘possession’ (1996) is a photography and light installation commissioned by Cambridge Darkroom Gallery & Eastern Arts which uses the familiar aesthetic of the family snapshot to explore our desire to hold on to -and arrest significant moments in our lives through as series of photographic ‘genies’ and illuminated, framed shrines. 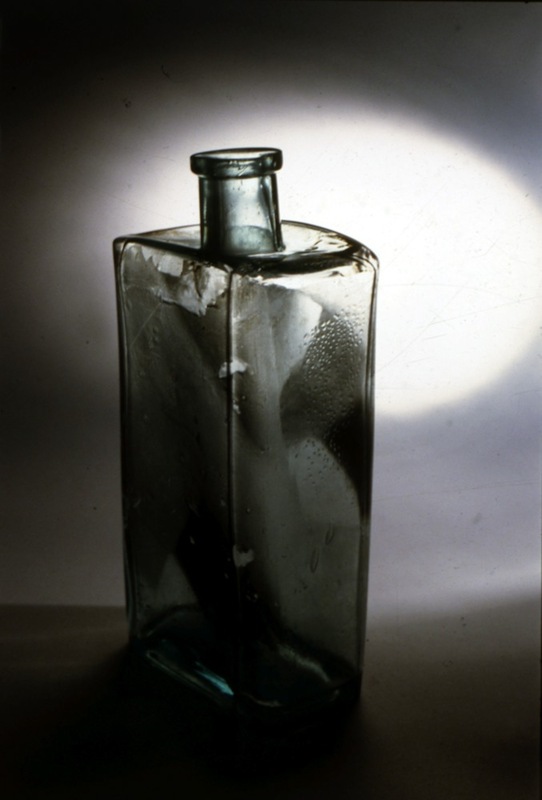 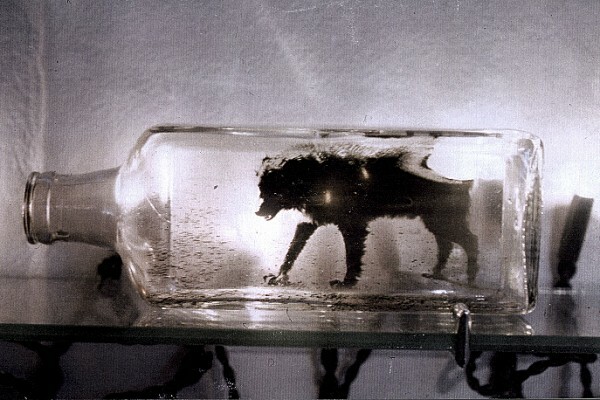 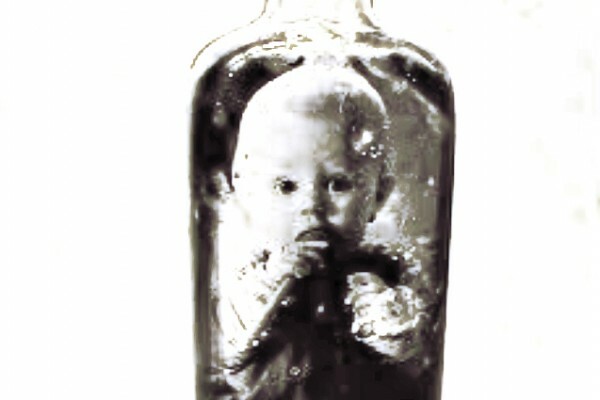 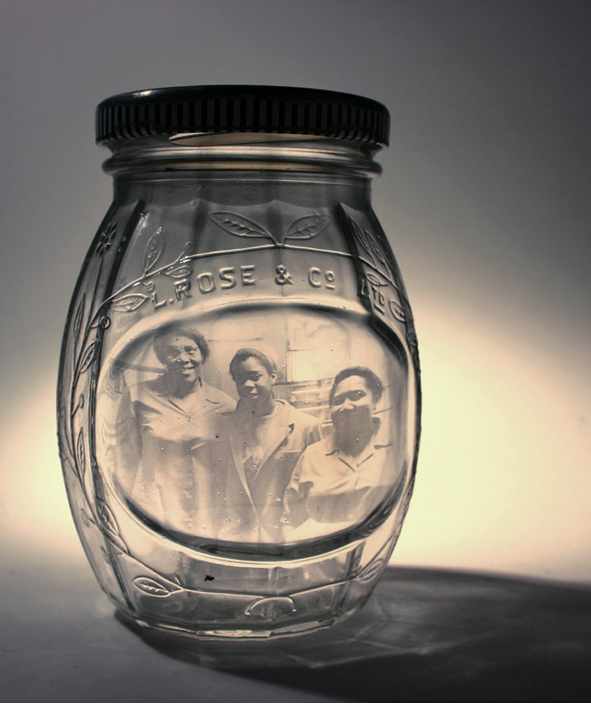 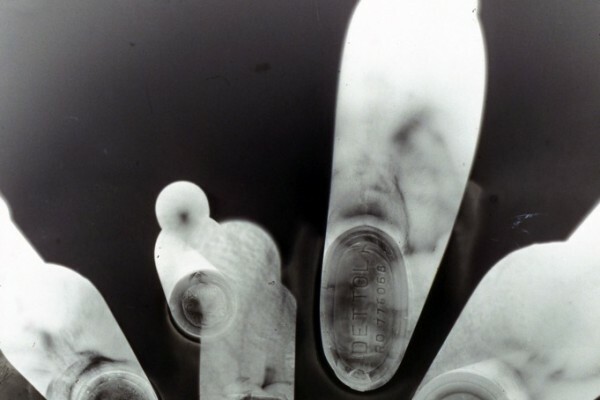 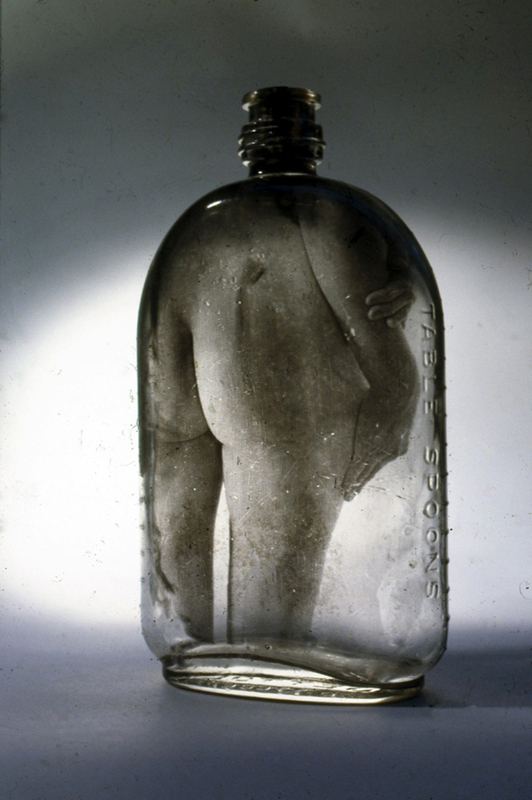 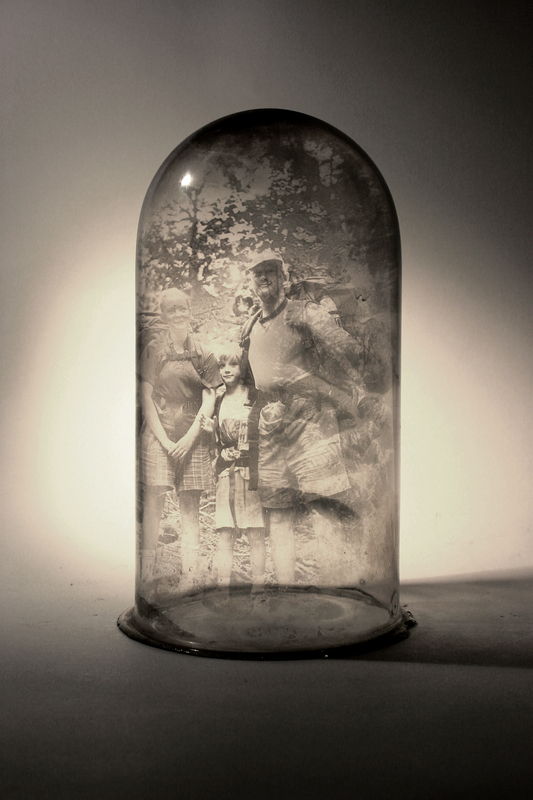 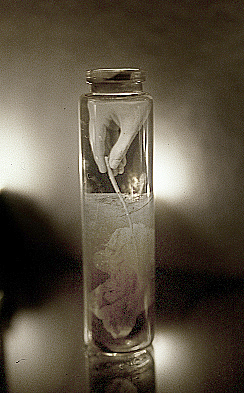 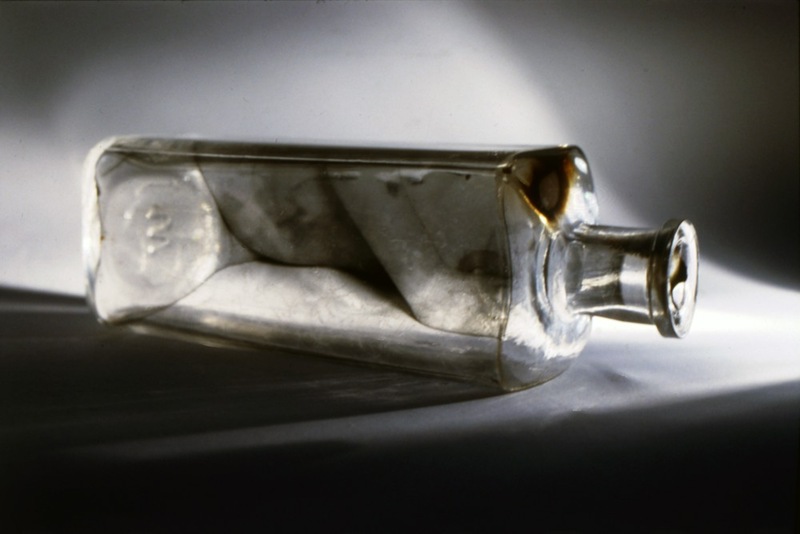 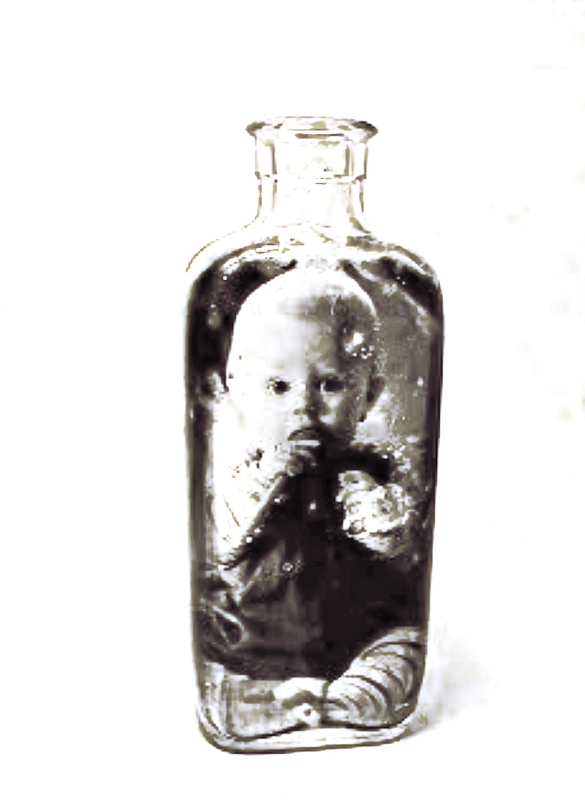 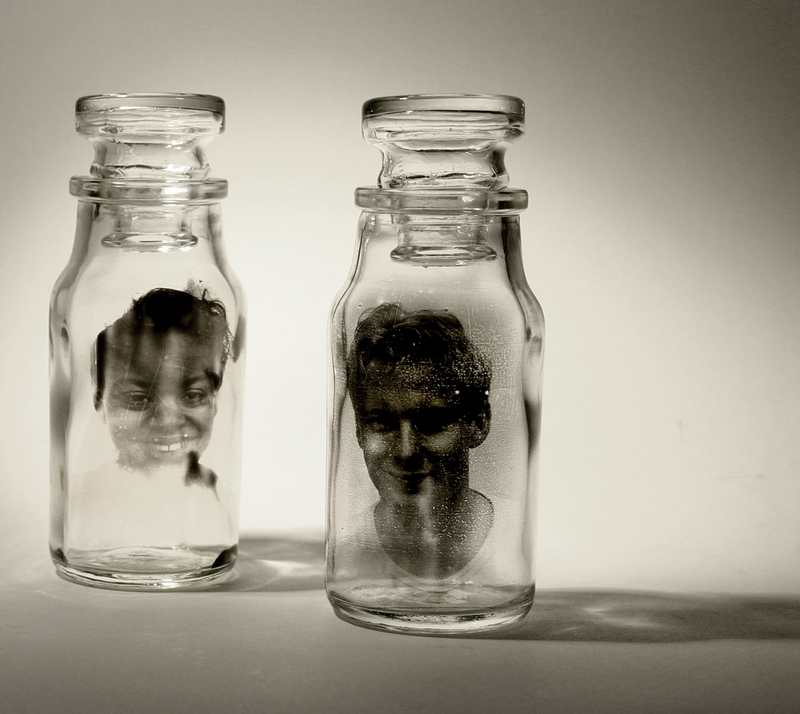 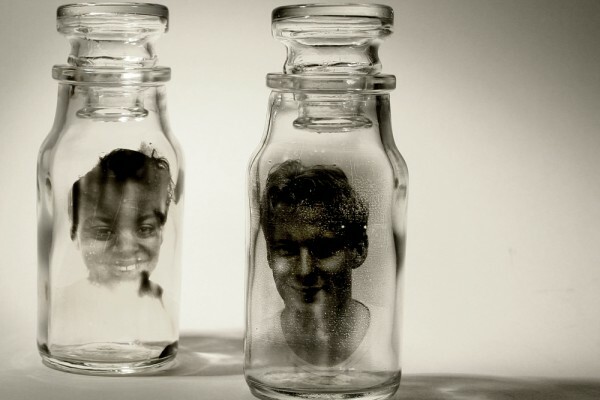 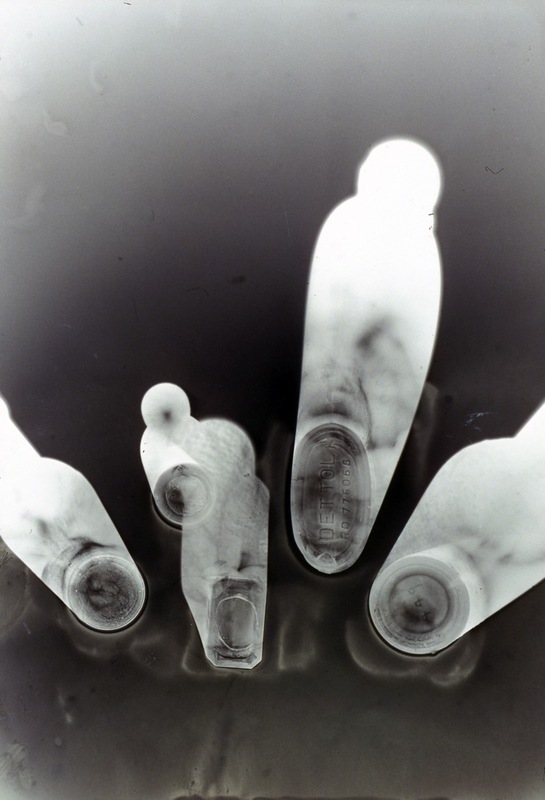 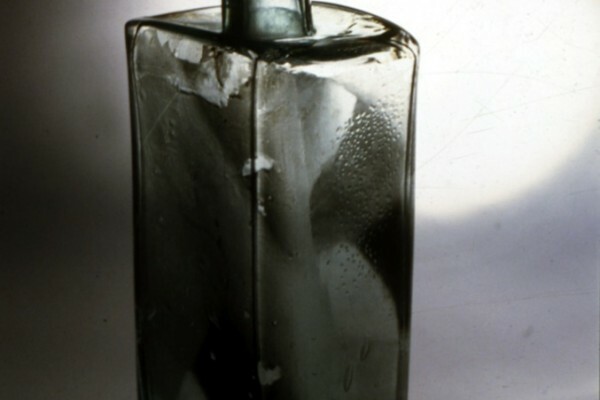 Using a silver gelatin emulsion, carefully selected images are printed onto the inside of glass bottles to create a series of photographic ‘genies’Each image moulds subtlely into the shape of the vessel.A selection of images from a range of family albums are printed onto plates of glass which have then been set within illuminated glass picture frames, to create a kind of memorial to treasured personal moments – using glass as way of sealing in and preserving their emotional content. 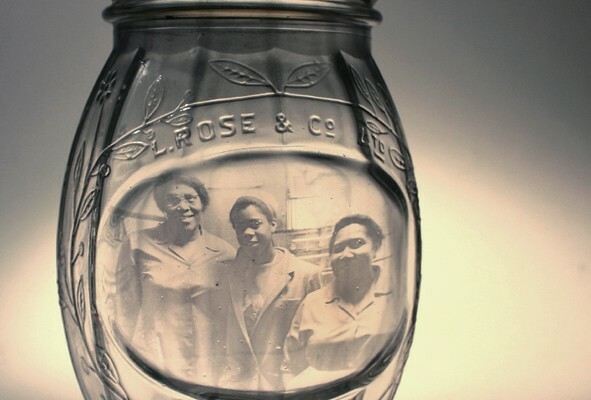 These frames have been hand cast in sand using lead crystal so they each have unique textures and qualities. 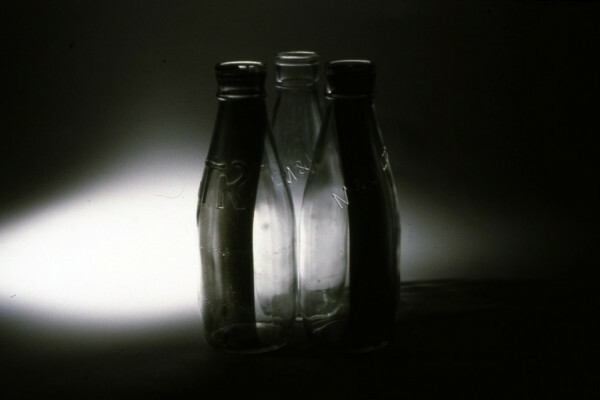 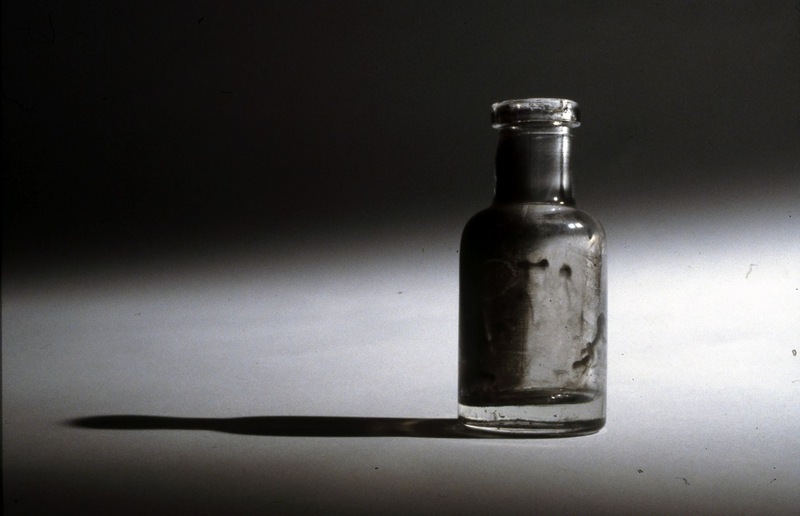 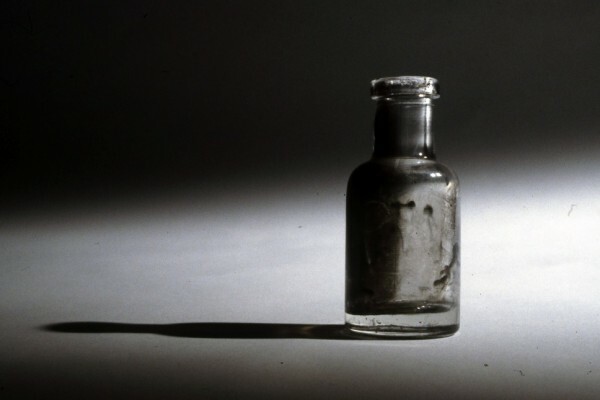 Following the exhibition at Cambridge Darkroom Gallery the work was subsequently included in a large touring group show ‘Silver Gelatin’, co-curated by Mark Segal and York City Art Gallery, which toured to York City Art Gallery,Theatre Clywd, Nottingham Castle Museum and ArtSway .